The vibrant old town buzzes with glitzy bars, stylish restaurants, luxurious designer boutiques, bustling bars and nightclubs. There’s something for everyone: you can relax and unwind, indulge your gourmet appetites or dance the night away. Corsica, with its diverse terrain, is also a hiker’s paradise. Glittering bays and pristine beaches will give way to steep peaks, magnificent valleys and shaded forests, inviting you to explore. 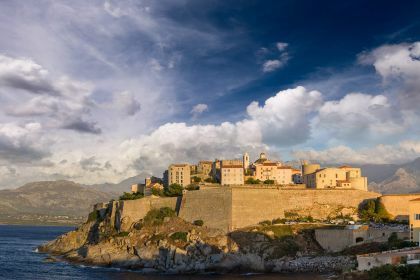 Don’t miss a visit to gorgeous Calvi. The town is the entry point to the Scandola Nature Reserve, the spectacularly beautiful Unesco World Heritage Site. It’s a protected area and cars are not allowed to enter, so a tough hike is the only option for most visitors. With your luxury yacht though, you have the advantage of accessing it from the sea. From your privileged vantage point, you can also enjoy playful dolphins, every shade of blue sea as the water glints against the setting sun, flocks of sea birds, and the dramatic coastline. 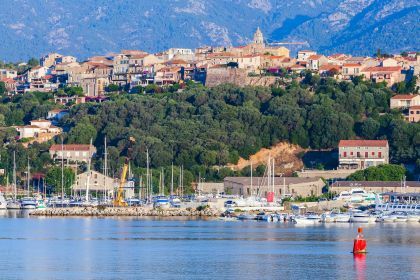 Corsica’s rugged terrain boasts deep gorges, stunning waterfalls, canyons and secluded caves. 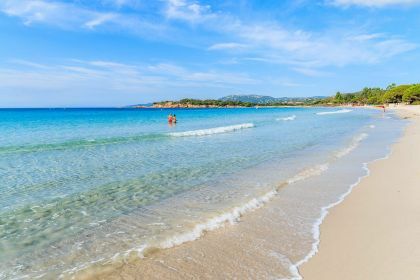 You can choose from, among the many excursion options, a speedboat tour of the Gulf of Porto, a slide down the waterfall in Aqa Canyon tour or scuba diving around Calvi. 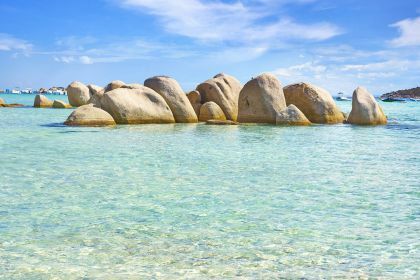 When is a good time to start planning a yachting vacation to the intoxicating islands of Sardinia and Corsica? How about right now? Contact your Abberley charter broker by mail or telephone and explore the luxury options available — on board a luxury motor or sailing yacht. Let’s make your next vacation memorable.